Skylark Blog: How Private is a Meeting with an Attorney or Mediator? How Private is a Meeting with an Attorney or Mediator? There are two different levels of protection you might have when meeting with a professional and they are both important: Confidentiality and Privilege. Confidentiality is a duty for the professional to keep information you share with them private, and different professions have different sources of authority for such a requirement. In other words, confidentiality is rooted in the obligations of the professional, not necessarily in a right of the client. Privilege, however, is a right that is granted only in particular situations. In this context when we are discussing privilege we are referring to a right, conferred by the government, to exclude certain information from being admitted in a court proceeding. This could mean, for example, that if a privilege applied you could prevent the professional from testifying in court. Privilege is a right rooted in the relationship between the professional and the client, and is typically owned by the client. 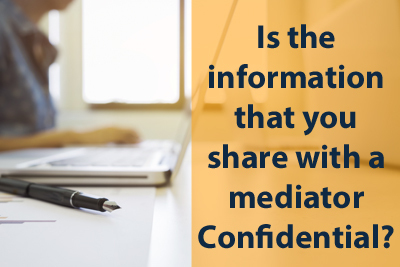 Is the information you share with an Attorney or Mediator confidential? Any information you share with a mediator or attorney should be kept confidential by that professional, but a mediator may not have the same ethical requirements depending on their profession. A mediator who holds a license in a field other than law (such as a social work license) will likely have similar ethical requirements as a lawyer for keeping information you provide to them private. An attorney, when acting as a mediator or in an advocate role, has ethical requirements outlined by their licensing authority. Either way a mediator or attorney should not be sharing your confidential information, but if you have questions about how they view that duty you should ask in the initial consultation before you hire them. Is your information protected by a privilege when meeting with an Attorney? What is the attorney-client privilege?Attorney-client privilege is the right of clients to refuse to disclose confidential communications with their lawyers, or to allow their lawyers to disclose them. The attorney-client privilege is viewed as fundamental to preserve the constitutionally based right to effective assistance of legal counsel, in that lawyers cannot function effectively on behalf of their clients without the ability to communicate with them in confidence. Why is the attorney-client privilege important?The attorney-client privilege is the bedrock of the client’s constitutionally based right to effective assistance of counsel. From a practical standpoint, it plays a key role in helping clients, including companies, to act legally by permitting them to seek guidance on what the law allows and requires and how to conform their conduct to the law. In addition, the privilege allows organizations such as corporations to investigate past conduct by corporate officers and employees, to identify shortcomings and remedy problems as soon as possible, by ensuring that the client can communicate fully with the investigating lawyer without risk of public exposure. That benefits the corporations, the investing community and society-at-large. Is your information protected by a privilege when meeting with a Mediator? All memoranda, and other work product prepared by a mediator and a mediator’s case files shall be confidential and not subject to disclosure in any judicial or administrative proceeding involving any of the parties to any mediation to which such materials apply. 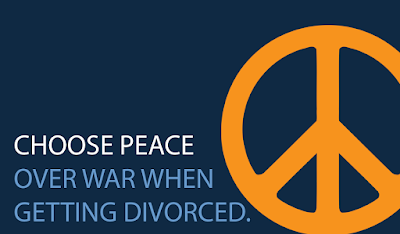 Any communication made in the course of and relating to the subject matter of any mediation and which is made in the presence of such mediator by any participant, mediator or other person shall be a confidential communication and not subject to disclosure in any judicial or administrative proceeding; provided, however, that the provisions of this section shall not apply to the mediation of labor disputes. For the purposes of this section a “mediator” shall mean a person not a party to a dispute who enters into a written agreement with the parties to assist them in resolving their disputes and has completed at least thirty hours of training in mediation and who either has four years of professional experience as a mediator or is accountable to a dispute resolution organization which has been in existence for at least three years or one who has been appointed to mediate by a judicial or governmental body. This privilege is very powerful and was recently reviewed and upheld in a case where one party tried to challenge confidentiality and bring certain information from the mediation into court after a settlement went bad. The second paragraph of the statute outlines the requirements for the mediator privilege to apply in Massachusetts and if you are considering hiring a mediator you should ask them about these requirements, and whether they have any language about confidentiality in their mediation agreement.